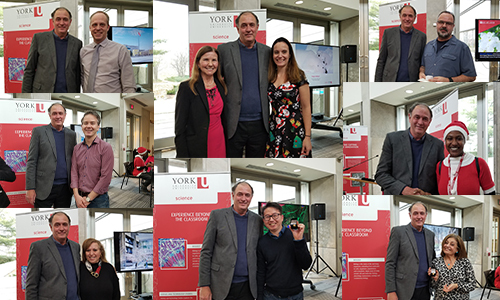 The annual Holiday Reception took place on Dec. 19 in the Schulich Dining Hall, where staff and faculty had a chance to celebrate and catch up. In addition, it was a time to recognize employees. 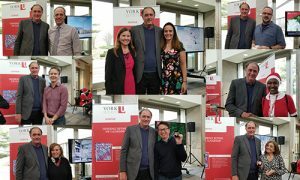 Interim Dean EJ Janse van Rensburg and Executive Officer Helen McLellan handed out service recognition awards to employees who have worked at the University for five, 10, 15 and 20 years. 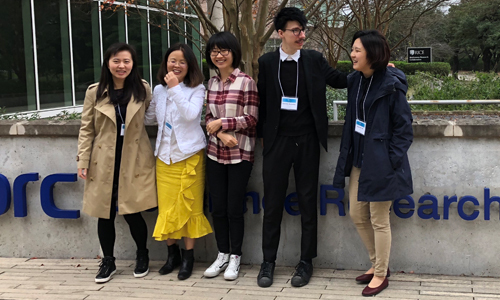 The fourth International Conference on Big Data and Information Analytics, of which York University is one of the founding institutes, took place in Houston’s Medical Research Center from Dec. 17 to 19. Jianhong Wu (Mathematics and Statistics) is the co-founding chair of this international event. York’s contribution to the 2018 conference included lectures by PhD Candidate Zachary McCarthy, Postdoctoral Fellow Kyeongah Nah, and Visiting scientist from Chinese Media University Fulian Yin. 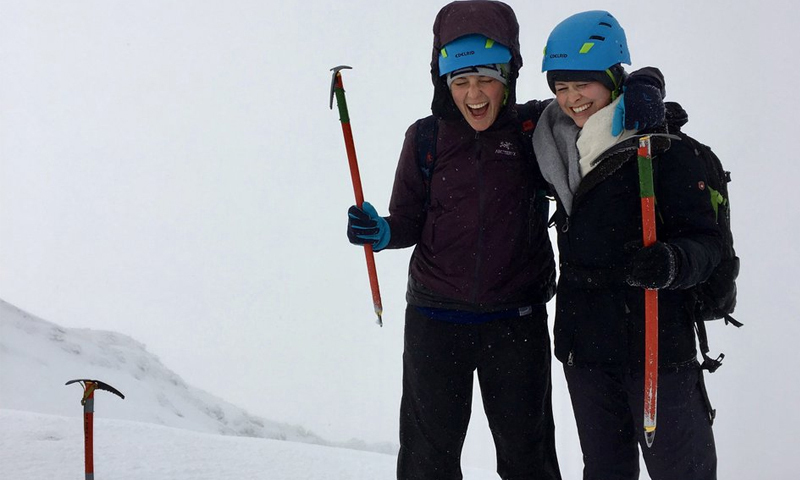 Fourth-year biology student Carolyn Ewins won in the Community category of the #MyExperienceYU photo contest for her picture taken during a 21-km hike in New Zealand’s Tongariro National Park, while on an exchange in Australia. See photos in yFile. Thomas Salisbury (Mathematics and Statistics) is one of the Inaugural Class of Fellows of the Canadian Mathematical Society (CMS). The Fellows were recognized at the CMS Winter Meeting Banquet in Vancouver on Dec. 9. The Fellows Program recognizes mathematicians who have made significant contributions to the profession and to the Canadian Mathematical Society. See CMS media release. ­­­­­­­­­­­­­­Carol Bucking (Biology) received the 2019 Robert G. Boutlier New Investigator Award from the Canadian Society of Zoologists (CSZ). The award goes to an outstanding CSZ member, within seven years of their first academic appointment, who has made significant contribution to zoology and is a “rising star” in their field. Bucking will deliver a plenary talk at the 2019 CSZ annual meeting in Windsor in May. Former Dean Ray Jayawardhana (Physics and Astronomy) received the 2018 Dwight Nicholson Medal for Outreach. The award recognizes the humanitarian aspect of physics and physicists created through public lectures and public media, teaching, research, or science related activities. Paul Delaney presented on PlaneWave instruments and the 1-metre telescope at York for the Astronomical League’s National Young Astronomer Awards. Space historian and award-winning science journalist Andrew Chaikin came to York on Dec. 7 to discuss the decisions behind the historic Apollo 8 mission and the impact that first flight around the moon had on the race between the United States and the Soviet Union to land on the moon. Read more in yFile. Thomas Baumgartner and team published a paper in the Niecke & Lammertsma Special issue of the European Journal of Inorganic Chemistry, titled “Synthesis of a Trivalent P-Chloro-Dithienophosphole and Its Reactivity with Organometallic Reagents.” Read it here. Paul Delaney (Physics and Astronomy) was on NewsChannel, AM1010 Radio – the John Moores Show, and AM640 The Exchange to talk about the launch with David Saint Jacques. He also spoke with Global TV, AM1010 Radio, AM640 Radio’s The Exchange and The Morning Show, as well as Sirius XM several times about everything from OSIRIS Rex, NEA camera, China Moon launch, Voyager 2 reaches Interstellar Space, Comet Wirtanen, Saturn’s rings depletion, Mars ice-filled crater and the Apollo 8 Anniversary. Hélène Mialet (Science and Technology Studies) was quoted and her work prominently featured in the print and online edition of the Economist’s Christmas Specials section. Read the article here. Dawn Bazely wrote a blog for Culham Research Group about three local plant groups – arctic willows, arctic cotton grass, and mosses – that are important for making wicks for traditional lamps to provide light during an Arctic winter. January 3 to 8: The annual Winter Training Camp of the International Mathematical Olympiad Committee of the Canadian Mathematical Society, which York has hosted since about 2000. Each year, the committee invites 12 to 15 top high school students, the most promising contenders for the six-member team for Canada’s International Mathematical Olympiad held each summer in a different country. The Winter Camp students stay at York for five days of intensive competition training by leaders from different places each year. York mainly does the local logistical support. York also invites contenders for Canada’s team at the European Girls Math Olympiad. Neal Madras (Mathematics and Statistics) is the main local organizer for the event. January 16: Honours & Awards Ceremony, featuring Samer Bishay, York University Alumnus, and President and CEO of Iristel & Ice Wireless, as keynote speaker. 7-9 pm, followed by a reception, New Student Centre, 2nd Floor, Convention Centre.